If your dentist discovers that you have a cavity, you may be thinking that a filling is the only possible treatment option. While fillings are certainly one of the most popular ways to deal with a cavity, there are other options available. Your dentist will help to evaluate the condition of your tooth and the severity of the cavity in order to determine which treatment technique is right for your unique situation. As previously noted, fillings are the cavity treatment option that people most frequently associate with this dental problem, and most people will have at least one in their mouth. A filling is generally required when decay has progressed past the earliest stage of enamel erosion. If you are in need of a filling, your dentist will discuss possible filling materials with you so that you can choose the right option. 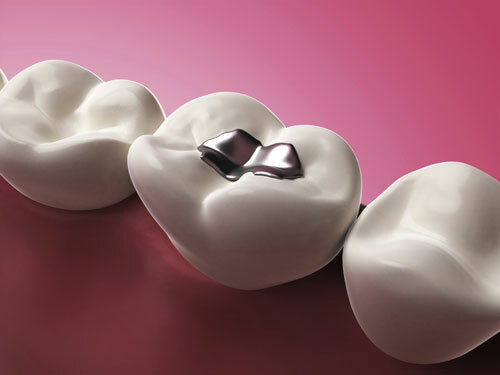 Fillings can be made out of porcelain, tooth-colored composite resin, silver, or a combination of different materials, and each option will have its own unique pros and cons to consider. Sometimes dental patients get lucky and their dentists are able to examine their mouth and detect a cavity while it is just getting started. In these cases, fluoride treatments can be used to treat the cavity without requiring more invasive measures. These treatments can help to restore the enamel of your tooth, as professional fluoride treatments will contain more fluoride than what is found in mouth rinses, toothpaste, and tap water. Fluoride treatments are most commonly applied by brushing a varnish onto the teeth, and treatments will only take a couple of minutes. With fluoride treatments, you can prevent a cavity from worsening to the point where a filling or other treatment option is needed. In some cases, the damage caused by a cavity may be so severe that a simple filling won't be able to correct the problem and more extensive treatment is required. When this level of decay is found, you may need to have a crown put into place, and this crown serves as a customized covering that will replace the natural crown of your tooth. To put the crown into place, your dentist will drill to remove the decayed area before adding a custom-fitted crown made out of porcelain, resin, gold, or other materials. For most cavities, the decay will be confined or restricted to the outer portion of the tooth. However, when decay is allowed to reach the pulp and the inner workings of the tooth, your dentist may recommend a root canal for treatment. This procedure is required in order to repair a tooth that has been badly damaged, or it can also be used to deal with an infected tooth rather than removing it. During the procedure, your dentist will remove the diseased pulp from the tooth. Depending on the severity of the infection, medication may be placed into the canal to combat the infection. A filling will then be used in order to replace the removed pulp. An extraction is the last resort when it comes to treating a cavity and should only be considered if the less severe treatments aren't options. When the teeth become extremely decayed to the point where restoration isn't possible, they may need to be removed. Unfortunately, there are downsides involved with this treatment option, as having a tooth pulled can result in a gap that can cause the other teeth to shift. If possible, you should consider getting a bridge, dental implant, or another restoration in order to replace the missing tooth in order to prevent potential problems. Please contact us if you have any questions about your dental treatment options for cavities.